“If you make a mistake and get all tangled up, you just tango on.” -Al Pacino in Scent of a Women. Sometimes life gets crazy; the point is to make a tango out of the tangle! Which is exactly what we did, after a recent big disappointment. We hope you can do the same! Here is a snapshot of Chris and Parisa tango-ing away at the Book Release Party at the Center on August 3. It was a great success, and we enjoyed sharing news with all who found time to come. Thank you! Looking ahead, we’re offering several special workshops: Face Reading on 8/19 and something new?Feng Shui?on Sept. 6; plus ball-room dancing lessons Friday evenings. In addition, Chris will be teaching a series of FREE lectures based on his new book. Mark your calendars now–and be sure to click on the link below to reserve your place! 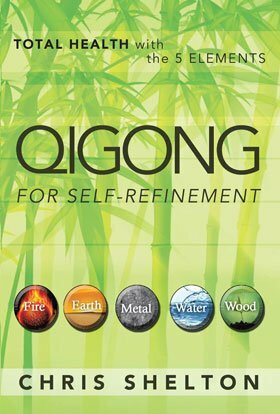 Saturday, 9/14, 12:15-1:30pm- Qigong for Health & Vitality – Experience a powerful and effective way to increase your health, vitality, and athletic performance. Saturday, 9/21, 12:15-1:30pm- Tai Chi for Posture and Alignment – Learn how small adjustments in your posture can bring huge changes your power. Saturday, 10/12, 12:15-1:30pm-Nutrition According to Your Constitution– Five Element diagnosis can help you understand how to nourish your body for optimum health. Get a glimpse of nutritional theory according to Chinese Medicine. Saturday, 10/26, 12:13-1:30pm- Personality Assessment with Face Reading– Have insight into a person’s character the moment you meet.